Zultys, Inc. is a California company focused on business communication solutions, and specifically, unified communications services. The firm provides business hardware that supports an entire range of communication methods, including voice, electronic fax and instant message. Zultys’ bread-and-butter is its line of preconfigured IP phone system packages, which can be networked together across up to 128 locations for as many as 10,000 users.The single appliance model leads to lower hardware costs and better overall communications management. Zultys works with companies to deliver both premises-based and cloud-based deployment solutions. Visual voicemail, call coding, web-based conference calls and voicecall recording licenses are also available. 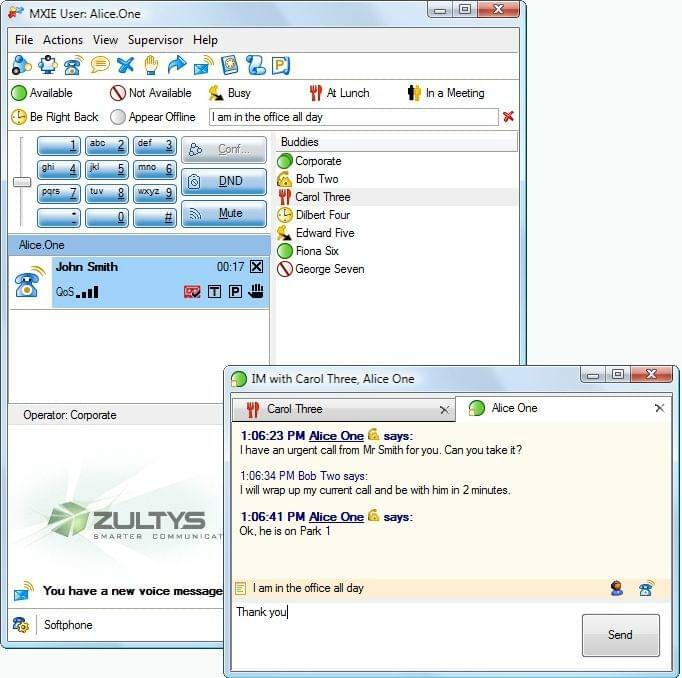 Zultys is a leader in VoIP business phone systems. The MX250 IP can support up to 250 users on a single appliance, while the MX30 IP is designed for a branch location or smaller office. Zultys also offers the cloud-based MX Virtual and analog SIP Gateway. The “All-In-One” design makes the hardware easy to install and maintain. In terms of the network itself, many firms are attracted to the price per call, as calls can be connected over lower-cost SIP Trunking services and ITSP phone lines, especially for calling between locations. Security is a major concern with any VoIP business phone system, not only from traditional threats like eavesdropping and phishing but also from DoS and SPIT attacks. One option is to route calls through a VPN or similar platform, thus avoiding the public internet altogether. Zultys also offers advanced SRTP (Secure Real-time Transport Protocol) that encrypts both signal and media. Learn everything you need to know about Zultys. Our experts will reach out to you shortly.